This year for Valentines day I decided to follow an idea suggested by my boss. She’s really into her baking and was showing me some of the things that she has baked, including the flowers she’d made to decorate cakes. 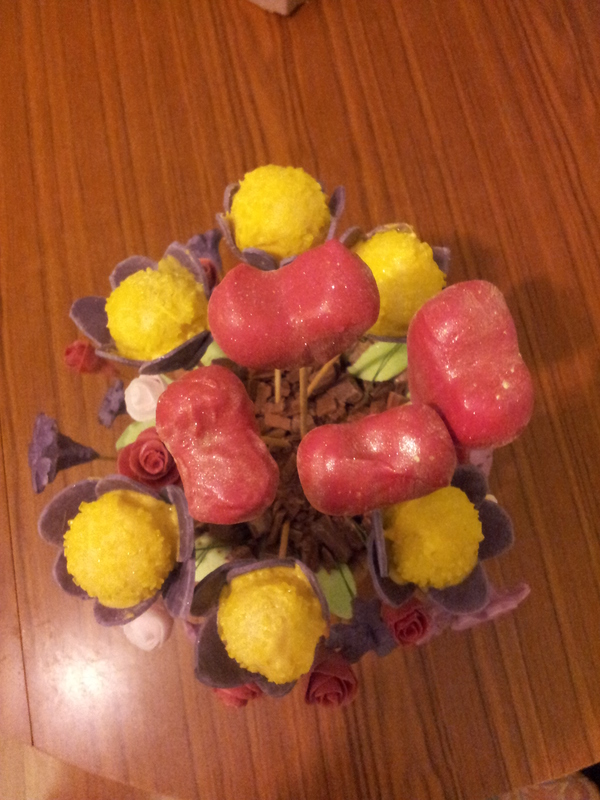 This inspired me to create a bouquet of edible flowers. To make the roses I followed the instructions from this tutorial. I found working with fondant icing to be tricky. It would often stick to things or fall apart. After some googling I came across tylose powder, which can be used to stiffen fondant icing. 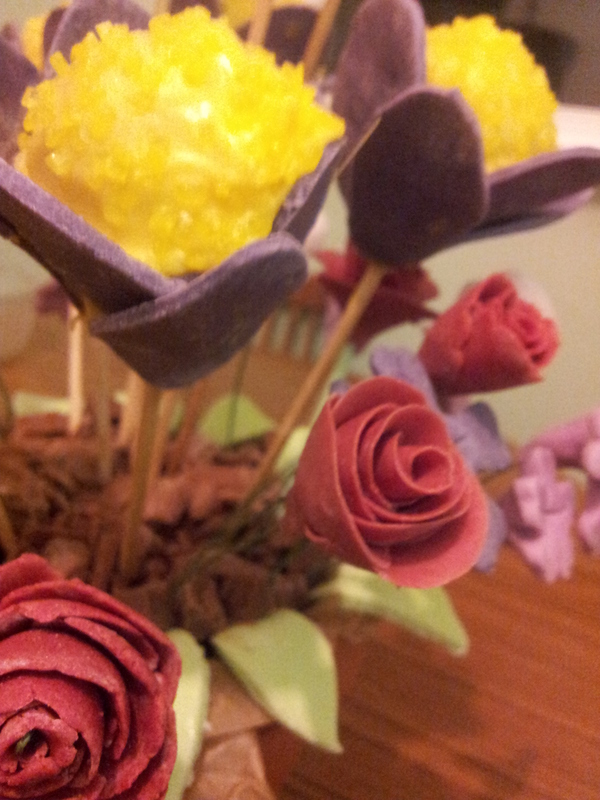 At first I was happy with how it affected the fondant, and making the roses became easier. However, over time I noticed that it make the fondant sticky and started to give it a strange taste and texture. Luckily, my boss came to the rescue again and suggested coating everything with icing sugar to stop it sticking to things instead. 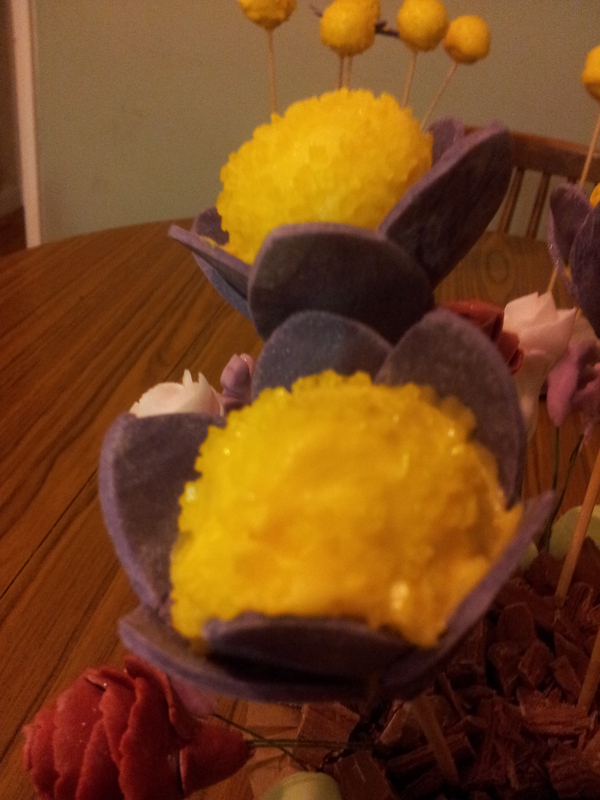 Then, when you’re done gently brush the petals with a damp brush to get the icing sugar to soak into the petals. This worked considerably better then the tylose powder without affecting the taste. 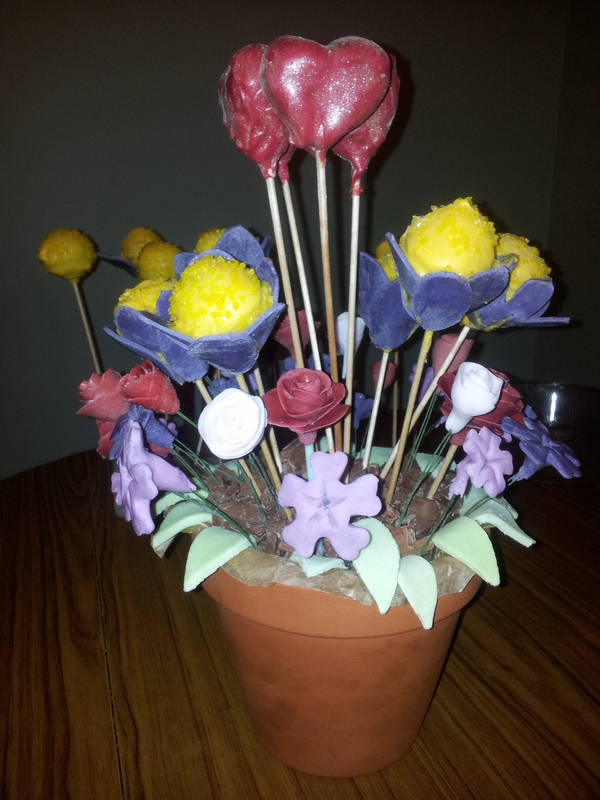 It quickly became clear that a bouquet of fondant icing would be a bit too much sugar! So to balance this out a little I created some simple cake pop flowers and hearts (although they also contain a lot of sugar). The plant pot was filled with floral foam and covered with baking paper so that I could get the flowers and hearts to stand up. 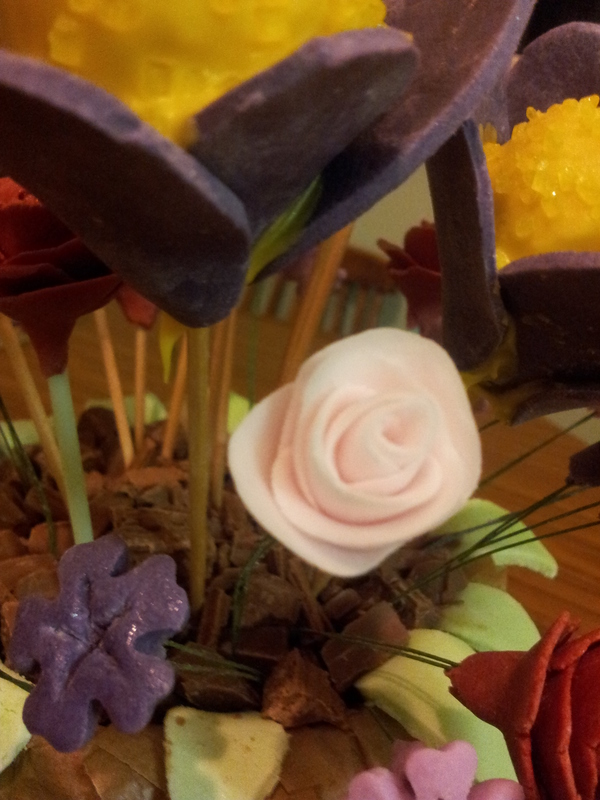 I then covered the base with copped up chocolate (since she wanted chocolate), and placed fondant leaves around the edge. Overall, these edible Valentine’s day flowers were a success and are a nice twist on giving traditional flowers. Let me know what edible flowers you’ve made in the comments below. ~ by Jay on April 3, 2015.